I wonder if this will be the Genesis animal base (4 legged) from which alot of different animals will be created and added to the pool?? I didn't see morph packs yet to suggest it but maybe they will come later. Well RawArt has some toon morphs for rhinos, pigs, cows etc coming up plus of course the current Toy Pony. midnight_stories has a llama morph. So I do dare say this is a possibility indeed. Is the Llama's fur a custom shader, or actual geometry? While geometry like fibermesh fur is a lot more resource intensive, it works way better when exporting to external renderers like LuxRender. So, is the mesh able to be morphed to other hooved animals? Will this be the Genesis 4-legged Animal? Looks like DAZ did some fixes to the bundle. I reset it and the duplicates are gone. 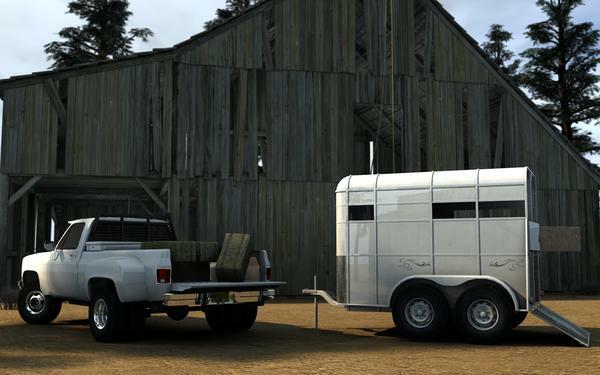 2 additional files for Wagon Trail have been added that weren't in the bundle before. Looks like these are the part 1 files for it. And the missing Missing Wagon Trail Poser file for Mac is in the bundle now too, along with the missing Western Gear file. I'd like to add to this request ... sidesaddles for ladies and royalty. Walks past whistling, turns head giving a furtive look and then sneaks off again. Thanks, if it's not working this morning I'll probably do that some time tonight. I have in the last 10 minutes approx 7:15pm UK time purchased the Pro Bundle and would therefore expect to see the latest files. I used to have, in another life, the DAZ Rhino! God I loved that figure! I totally want to do a Finnhorse morph for this. Sometimes, horses don't wanna walk ;) More info here. I don't know what either of you are getting at. That couldn't possibly sound more British if it came from the mouth of the Queen herself. It sounds very much like something she would say. Might one enquire as to the source of your idiomatic information, sir? Was it perhaps a gentleman with a fine singing voice and a penchant for sweeping chimneys? LOL chuckles loudly at Richard's last post. John Skelton and the Doctor. Also known to mingle with penguins and nannies of dubious sort, yes? Excellent as this looks, something seems to be missing: a foal morph! Is it included but not listed? Or is somebody working on a foal pack for this? 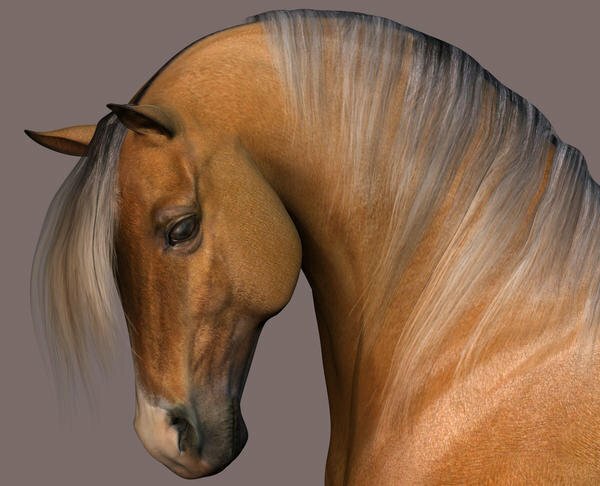 Why aren't all the morphs and textures in the Horse2 product? Is there another product that will extend it without buying the Pro pack? I'm not really interested in all the extra items (as nice as they are). It's a little geografting magic! 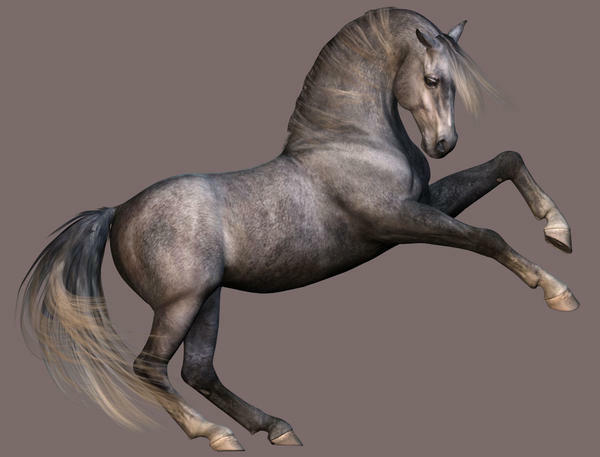 The new horse can't match the genesis topology, so I've had to make a separate horse body for the lower half. It's a huge job to do a full version, I'm sure there's people already working on it.